Q:So will it have gold glitter heart written in the box? A:The product comes exactly as shown in the image, including the writing on the box. 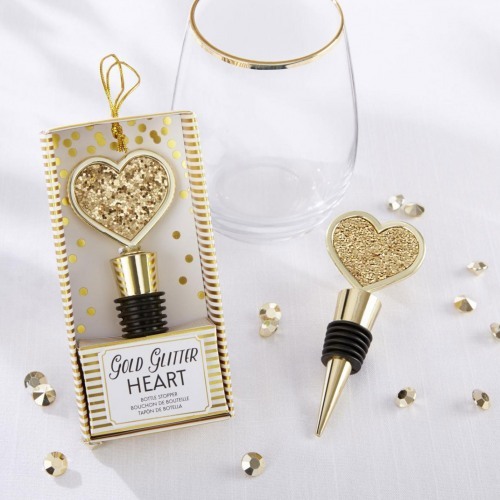 For any wine loving couple, this gold glitter hear bottle stopper makes the perfect favor to thank their wedding guests for being a part of their special day. Both fun and practical, your guests will love to use this pretty bottle stopper for years to come. Plus, the individual packaging makes this favor extra easy to gift and take home!